This energy can be obtained through the very powerful Sun. It is basically in the form of sunlight. Solar energy has varying uses such as heating, lighting, generating electricity and other industrial processes. Wind has been defined as a flow of gases or natural movement of the air towards a certain direction. Wind energy has been used in sailing ships and driving windmills for many years. 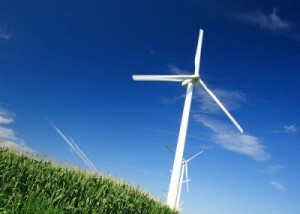 Now, wind energy is made to pass through turbines to generate electricity. Breaking down the word into two, “Geo” means Earth and “Thermal” means heat. To put it simply, Geothermal Energy refers to the energy accumulated from heat inside the Earth. The hot water and steam produced by such heat is used control generators and produce electricity. Main sources of this kind of energy are deep underground and other geothermal reservoir near it. Hydropower energy is simply the energy obtained from powerfully flowing water. Since water is a renewable resource (replenished through rain cycle), hydropower energy is considered as one of the biggest sources of renewable energy. It is generated through using flowing water to move up wheels and begin the process. Just like wind energy, it is then captured by turbines and generators to produce electricity. This entry was posted in Information Technology by Editor. Bookmark the permalink.